Every Freshwater pearl including lavender colored ones is available in a number of different sizes from small through to medium and large. 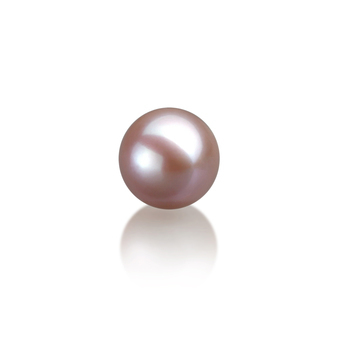 The lavender Freshwater loose pearls that we offer range in size from 7-8mm and 9-10mm. Both of these sizes are very versatile and is one of the reasons that makes them so popular with jewelers and designers. Any woman who is given lavender Freshwater loose pearls will feel very delicate and poised. This is why they make such a wonderful gift to present to someone on any occasion. Although some lavender Freshwater pearls can be round in shape, the majority of them tend to be baroque or oval-shaped. Round Freshwater pearls are rare as less than 2% of all these pearls being produced today can be classed as being truly round. Giving someone lavender Freshwater loose pearls will offer the recipient the chance to decide what they do with them. They can either keep them as they are or they can have a unique piece of jewellery made with them. So the size of pearls that you select for them will be important, as it will help to determine the type of jewellery item that will be made with them. These are classed as medium sized pearls and could be used to create a delicate necklace, a set of lavender Freshwater earrings or a stunning ring. These size pearls are the most versatile because they can be adapted for use in any kind of jewellery easily. These are only slightly larger than the precious size pearls but can be used by the recipient to create a real statement piece of jewellery. This size loose lavender Freshwater pearls can also be used to make a really amazing stunning statement necklace, a beautiful ring or a pair of gorgeous colorful earrings. 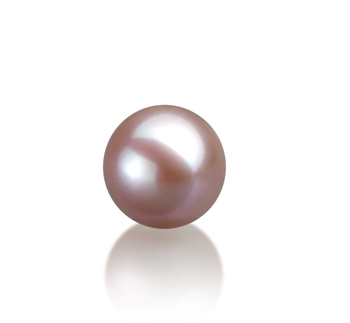 Like the other size, these size pearls can also be adapted to be used by the recipient in any way they like very easily. Once a person has received their lavender Freshwater loose pearls they will have to decide what they would like them to be made into. However, they may well decide that they prefer to keep them just as they came. So what are the options that someone has when they have been given loose lavender Freshwater pearls? Here are a few ideas that are worth considering. Our lavender Freshwater loose pearls can be used to create a number of different styles of pearl necklaces. They can be made into a single-strand or a multi-strand necklace. Also, the recipient may want to think about using the larger size pearls to create a unique looking pendant, princess necklace or choker. Any woman who receives such a gift may decide that they would like to use these lavender Freshwater loose pearls to have a single strand bracelet made. They could even use them to create something very unique that really reflects their true personality. Both sizes of these pearls are perfect to create stunning pairs of earrings with as the can be easily adapted to fit the exact wishes of the woman who has been presented with them. The larger pearls are ideal to create a pair of bold earrings that have a delicate elegant feel to them. These lavender Freshwater loose pearls can be used to create any kind of ring. But it all depends on the size of the pearl being used. The woman who has been presented with such beautiful looking pearls can then decide whether she would like a ring with just a single pearl or one with multiple pearls in its design. These days it is perfectly okay to give someone some beautiful lavender Freshwater loose pearls as a present whenever you like. But of course, occasions such as a birthday, anniversary, graduation or a wedding are the perfect time to present these as a gift. They will make these events even more memorable and will last for many years to come.